The Heider C is what most people think of when they think Heider. Produced in comparatively large numbers for over a decade, the C is by far the most common of the Heiders still found today and is one of the more common of the lesser known’s of the teens and early 20’s, with more survivors then many other brands of the day; I have currently documented at least 80 model C type survivors. The C type can be divided into four distinct categories which are the 10-20, 12-20 early style, 12-20 late style, and 15-27. 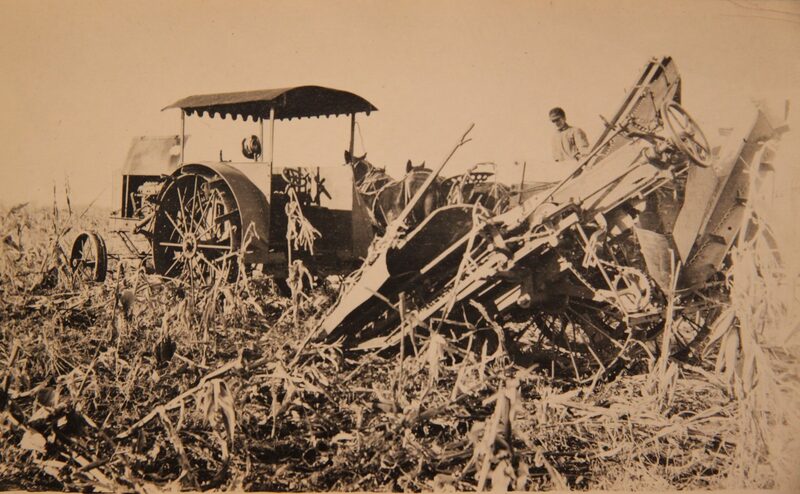 Released in early 1914, the C 10-20 was a total redesign of the B with a number of advanced features to help keep its share of the rapidly growing light tractor market. 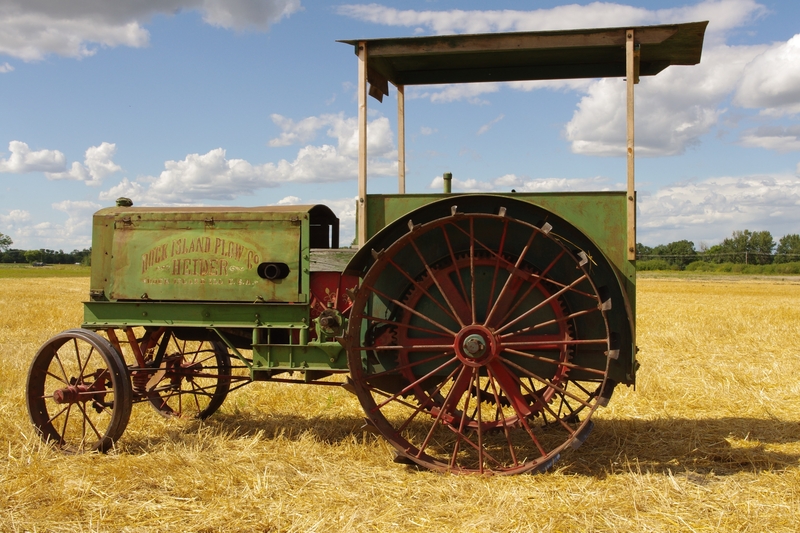 Although the trademark Heider friction drive was kept, it was substantially redesigned from 1 speed to 7. 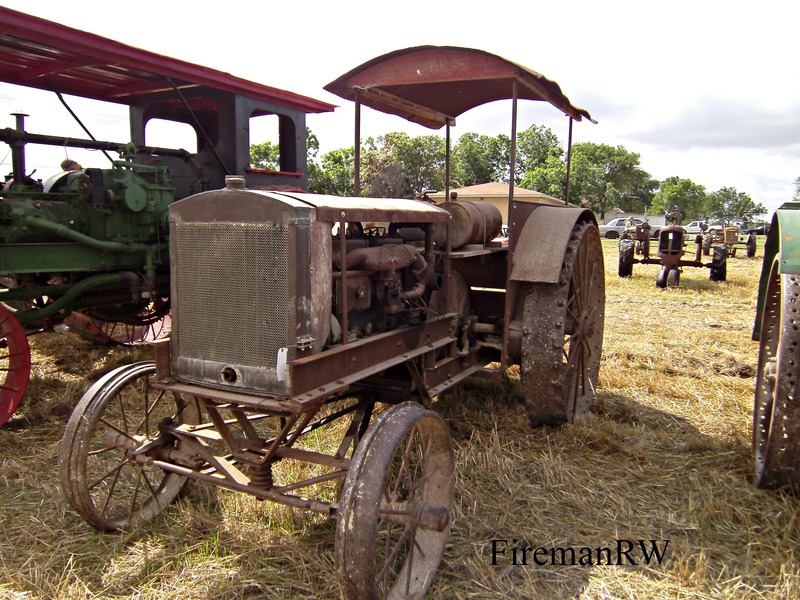 A Waukesha M engine provided 10-20 HP, although Nebraska Test 16 (Rock Island was one of the first companies to submit tractors to the newly formed Nebraska Test) would prove this to be slightly underrated with the C recorded as making 13-24 HP. By 1916 the C was appearing in ads as 12-20 HP after a change in gearing after Rock Island took over the Heider tractor division. 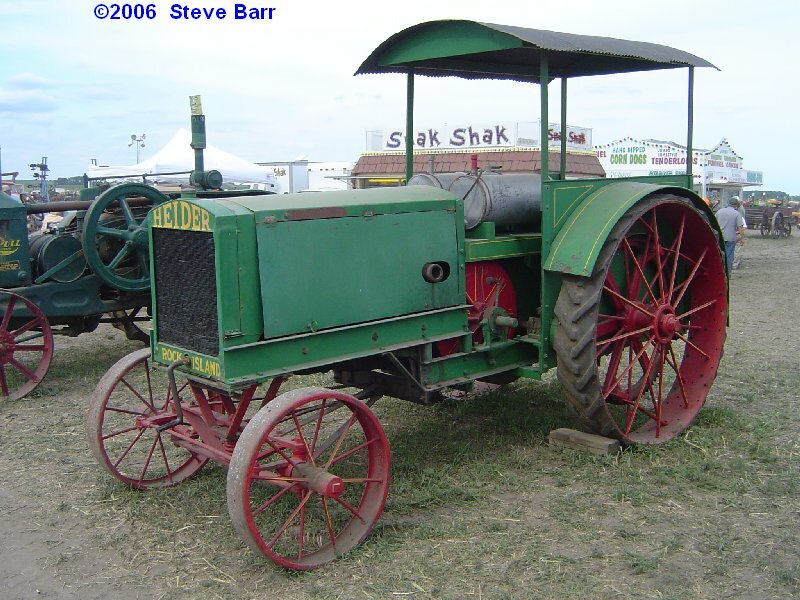 Unlike the B, the C also featured an automotive style radiator and front mounted engine directly behind it, looking like a rather conventional tractor. The engine itself slides forward and back on rails to engage the friction disks. 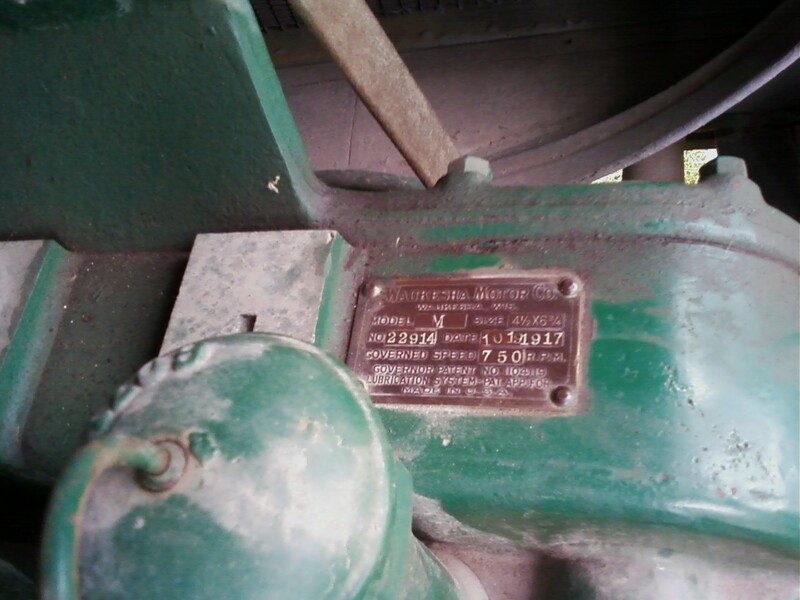 Although technically an infinitely variable drive, it was advertised as 7 speeds forward and back (by engaging the opposite friction plate) due to 7 notches on the shift. The chain drive was replaced by a gear drive and the drivers area was enlarged, though still fairly cramped with the open axle running through the drivers area. One tank held kerosene and a second tank was divided to hold water for mixing with the kerosene and gas. The friction disk itself was a paper laminate, ring which fit over the flywheel. Advertising made the replacement of this disk to be a minor thing to be done every year or two depending on tractor use when the old disk wore down to nearly even with the metal. Not only was it required to change the disk then, but one also lost power as the diameter decreased. The engine was designed to slide farther forward and a few bolts would allow the disk to be removed. 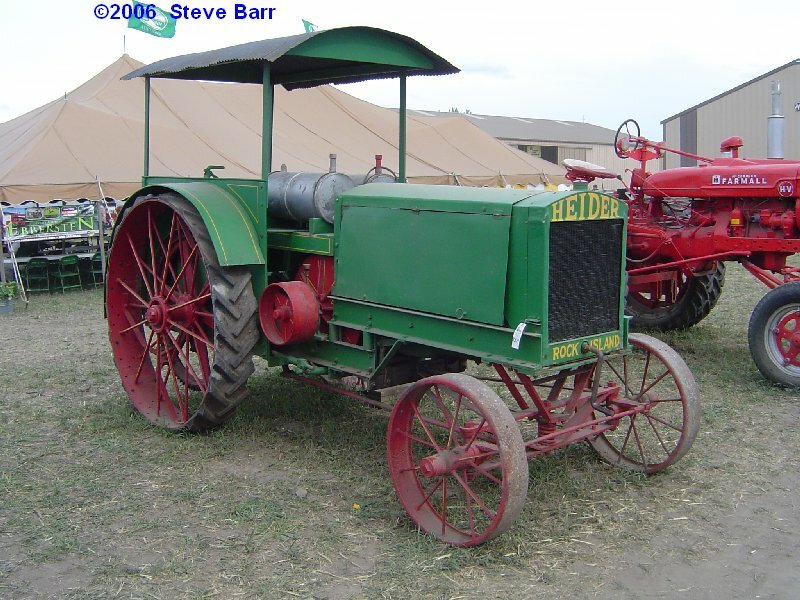 Accounts of Heider friction disks still leaving the factory exist into the 1940’s, indicating at least some of these tractors were still in regular use into the war years. Today, PaperPulleys does sell friction disks, but they have multiple measurements on file and we found that ours was not perfectly round so expect some fitting to be required. Others have had success making a masonite disk. 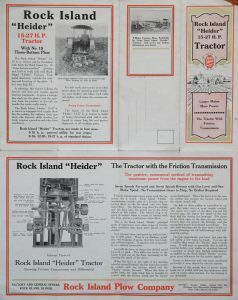 The introduction of the Heider C overlapped Heider’s marketing agreement with Rock Island in 1914, with Rock Island taking delivery of Heider B’s and apparently rolling out the new Heider C 10-20 at nearly the same time. 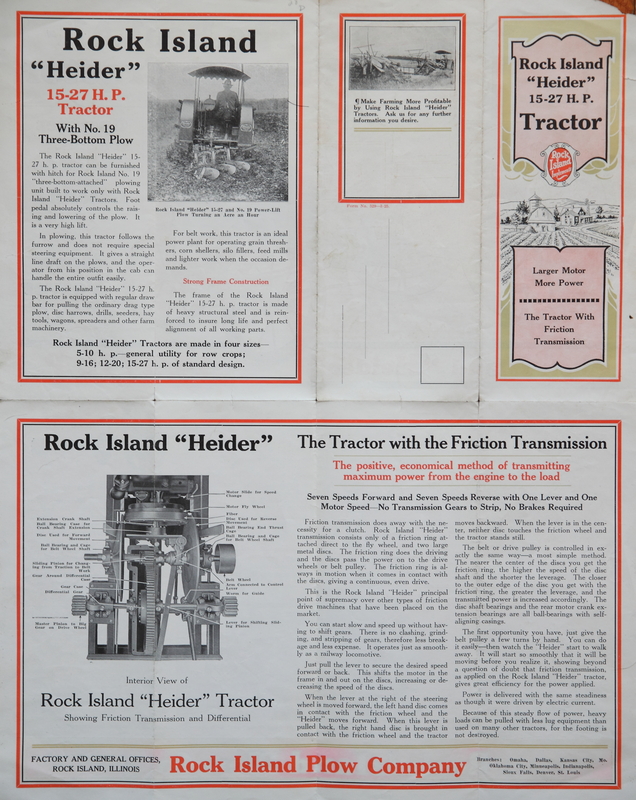 In addition to the agreement with Rock Island, The Waterloo Company of Ontario Canada became the Canadian distributor of the Heider in 1918 and sold the C as a good match for Waterloo’s own threshing line. 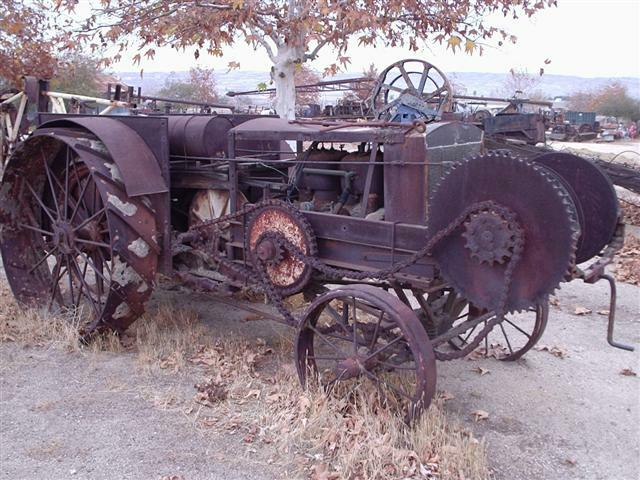 Many C’s saw heavy use on threshing rigs and on sawmills and it is not uncommon to find them sold without lugs and with minimal field wear. The C design saw only other incremental changes from 1914 to 1924 when it was replaced by the Heider 15-27, which was a larger engine on the C chassis. In Catalogue 42, the C and 15-27 are both offered so some overlap occurred, but serial #6700 is the official start of the 15-27 line. 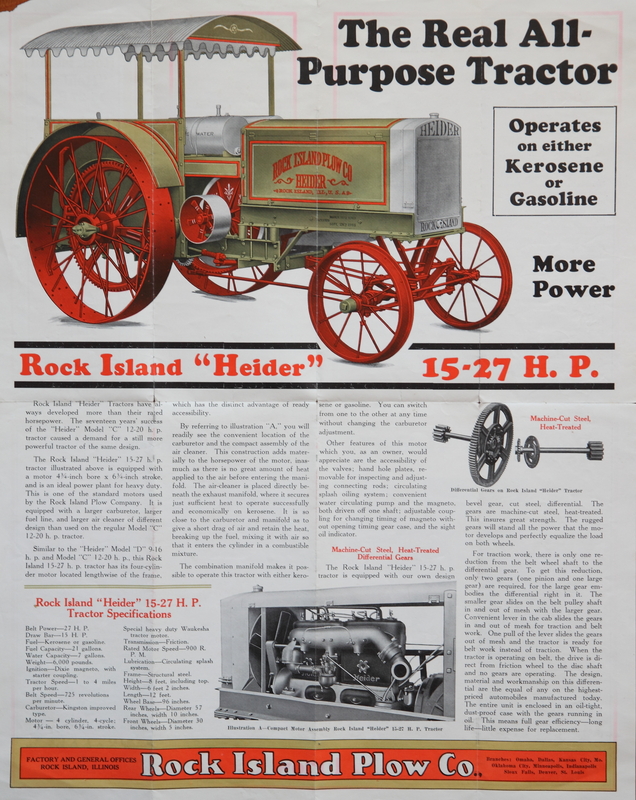 The initial rollout of it appears to have been as the 12-24 “Old Reliable”, the only such reference so far being a Waterloo Mfg Catalog and magazine advertising early on in 1924. 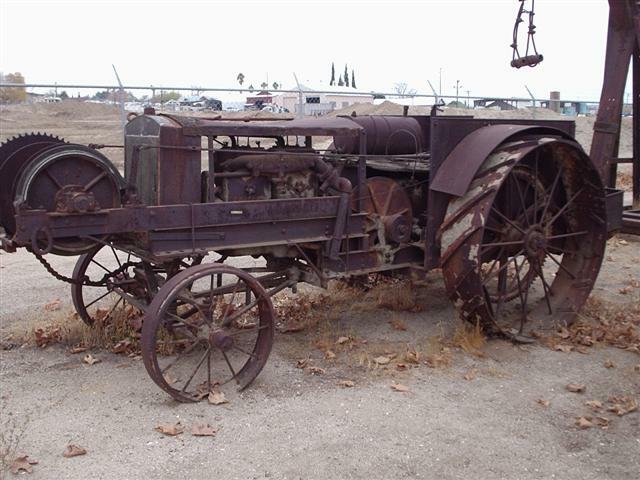 It appears that by the time the tractor actually was in production it had been re-rated as the 15-27. 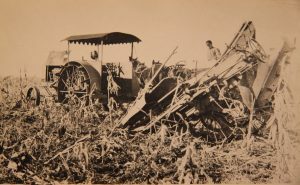 Although the tractor retained the C designation in some advertising and on the serial plate, in other advertising it was only referenced as the 15-27. 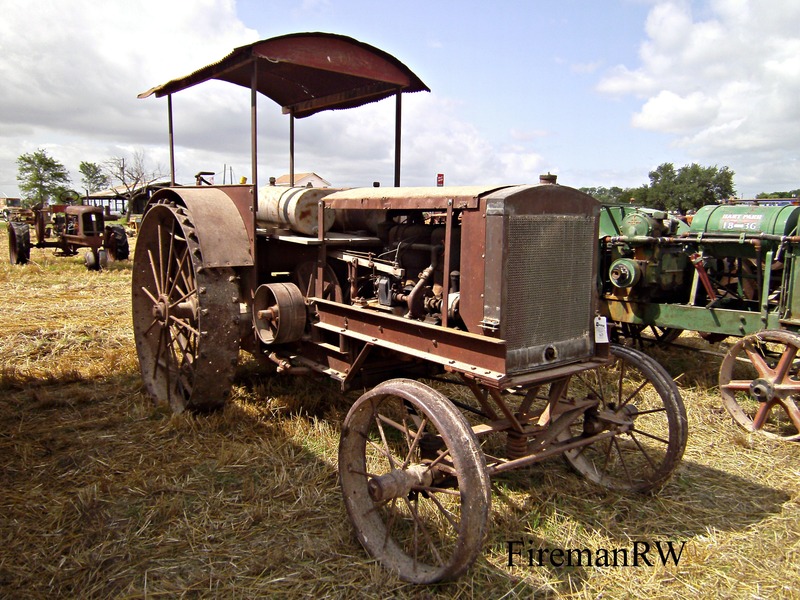 Functionally for almost all intents and purposes aside from the larger Waukesha P engine, the 15-27 and later model 12-20 C’s were identical tractors, although a few changes in the drive were also made. In addition, the old Bennett air cleaner and exhaust preheater pass through were replaced by a united centrifugal style aircleaner. The engines themselves are something of a mystery as all model 15-27s so far confirmed appear to have started as a Model M (from the C 12-20) but had the jugs and internals replaced by the larger P components. The tag was then altered to reflect the new size and model. According to the Waukesha engine Historical Society, only a small handful of actual P model engines were shipped to Rock Island, however enough M’s were shipped to cover the entire 10-20, 12-20 and 15-27 production. 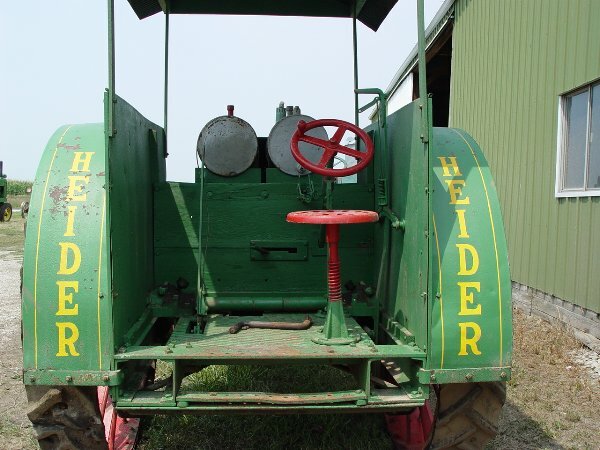 At the Jim Erdle Sale in 2013 a Heider 15-27 was listed. On examination, it bore the features of an earlier 12-20 with the pre 1919 platform and drive components and the tag was for a model M engine, but the jugs had been upgraded to P jugs with the 15-27 fittings. 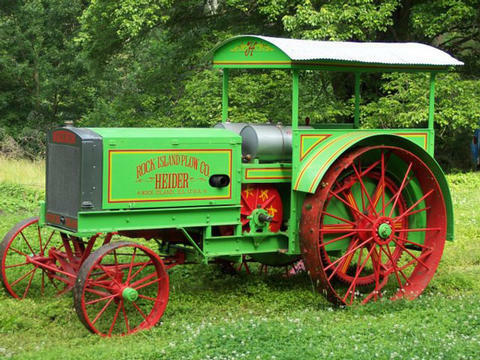 A running Heider C and look at the engine on Youtube HERE.